Serbian City Football Stadium dates back to the early part of the 20th century when it first opened in 1926. 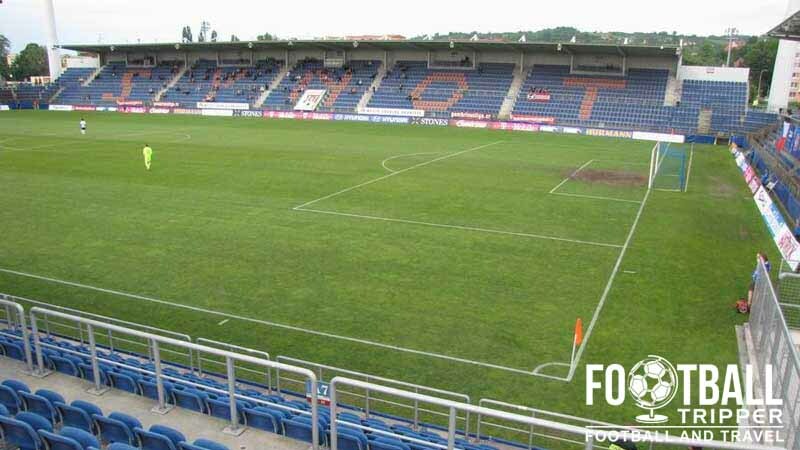 Upon opening it was home to FC LeRK Brno until 1995 when the original club merged with another local team to become FC Zeman Brno. However less than five years later the newly formed team folded and current residents Zbrojovka Brno took their place ever since at the start of the 2001/2002 season. 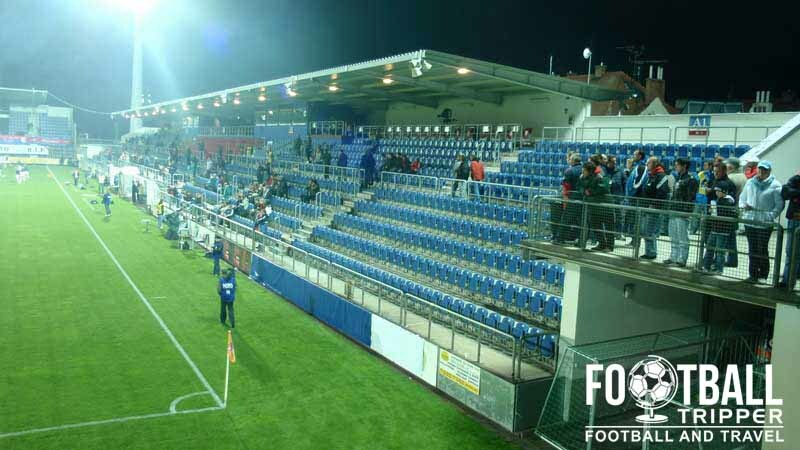 Previously FC Zbrojovka Brno had played at Stadion Za Lužánkami which holds the record for highest attendance in the Czech First League. Peaking with a capacity of 50,000, the record attendance was set during the 1996/1997 season in a match between FC Brno and Slavia Prague. Built in the post-war period, the stadium was forced to close in 2001 as it was slowly becoming dilapidated and failed to satisfy both the Czech FA’s, and UEFA’s stadium requirements. 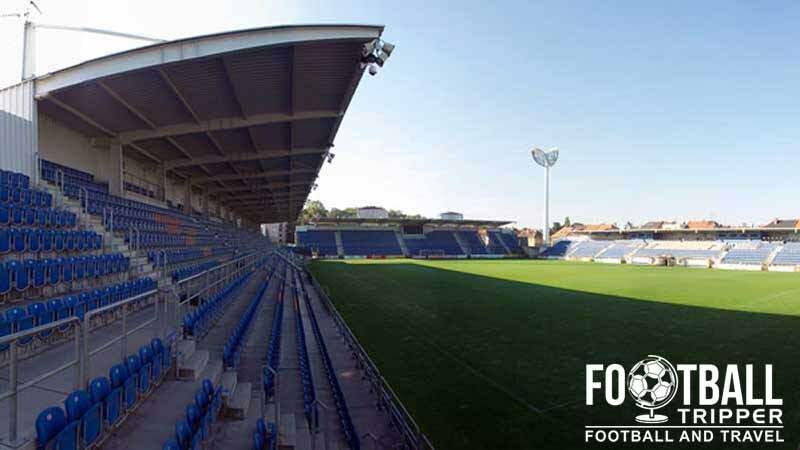 Originally designed as a multi-purpose stadium complete with athletics track around the perimeter of the pitch, the city of Brno’s municipal stadium underwent complete reconstruction in 2001 in order to modernise the ageing facilities. 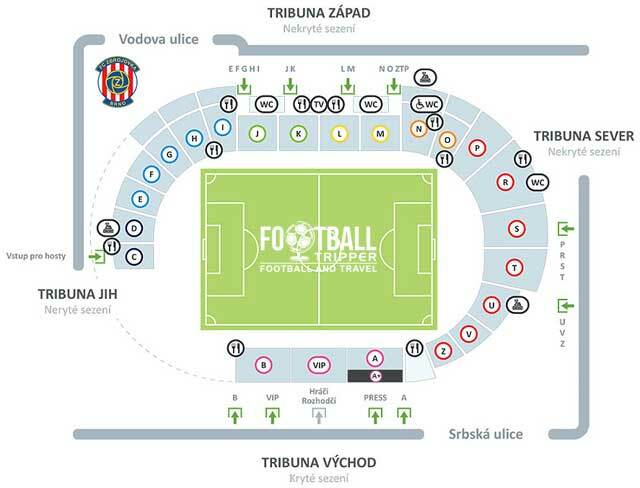 Rebuilt as a rectangular football ground at a cost of 110 million CZK, the stadium is now capable of accommodating 12,550 fans which includes 1,550 covered seats, 6,400 uncovered seats, 4,000 terrace spaces and 600 seats for away fans, as well as 50 spaces for journalists. As for the future of Městský fotbalový stadion Srbská it appears that FC Zeman Brno will remain here for the foreseeable future. 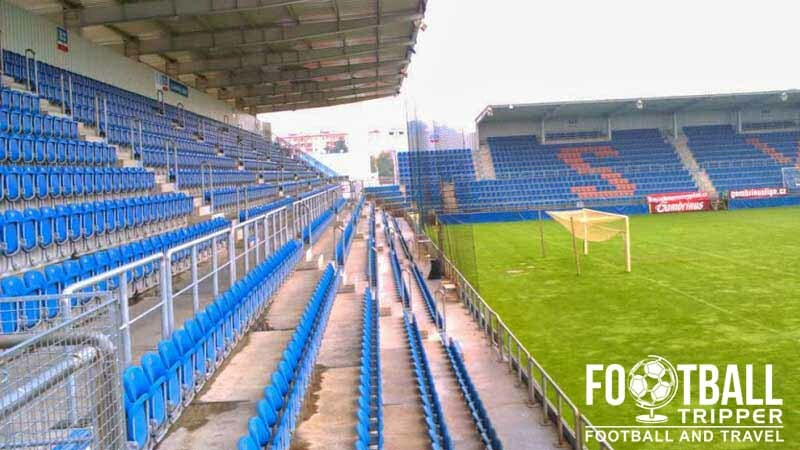 The dream for the club would be to return to a refurbished Stadion Za Lužánkami as expressed by management, however the renovation project has been put on hold since June 2012 due to a lack of capital and the threat of relegation back to the second division. Miroslava Valenty City Stadium is comprised of four stands: North, East, South and West.